Environment here means protected space, suspended from the chaotic flow of time, a refuge by choice, a happy landing. 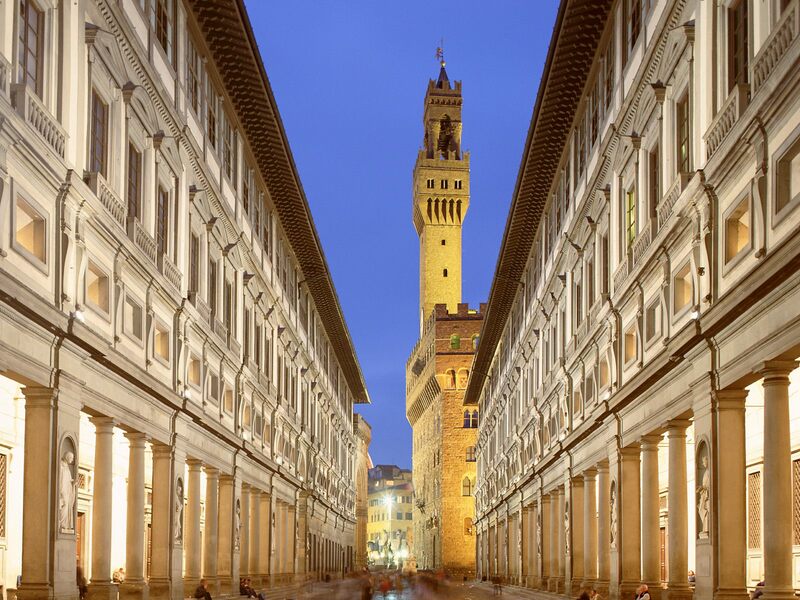 In the heart of downtown Florence, in Piazza Santa Maria Novella, just a few steps from the Renaissance church bearing the same name, one of these rare, extraordinary islands in the sea of life can be found. 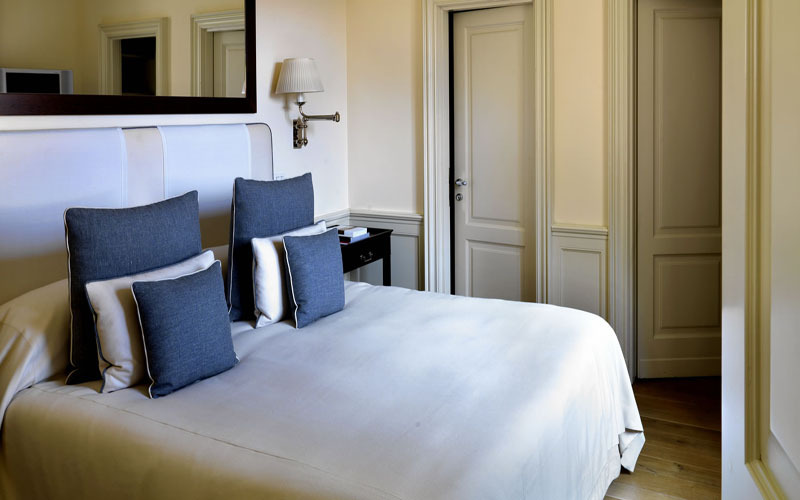 JK Place, an absolutely special hotel experience, is hidden away behind a charming door. 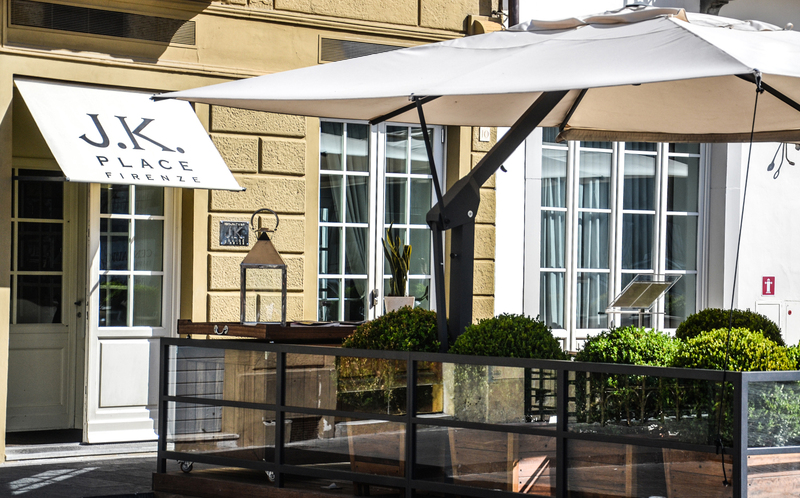 An elegant habitat that joins atmosphere with scents from the past while at the same time offering precise and decidedly contemporary comfort, JK Place follows a philosophy of hospitality that is truly different, tracing a peculiar microcosm, far from overused clichés and evening routes. A real house, with fireplaces aglow, meaningful contemporary flavours and objects deposited over time, with its overlay of happy memories and a soft approach, refined, attentive but never invasive. A long corridor with black wooden flooring gives a sense of unity to the different common areas of the ground floor. 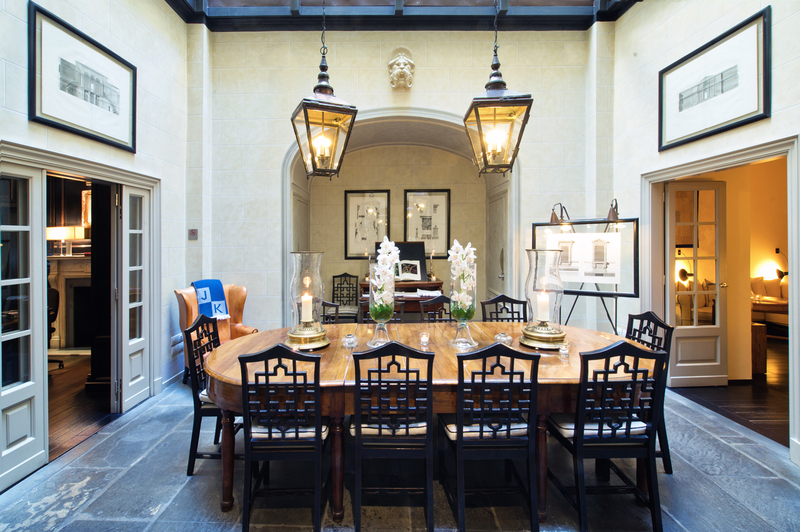 Exquisitely masculine, British hints, rarefied décor, an understated display, calm and luxurious. There are only 20 rooms. It is immediately clear that this place could never be ordinary, as the sounds of the city fade away and a slower, more thoughtful rhythm prevails. Demiurge of the radical architectural remodelling, of the laborious recovery of an important texture of signs and memories, and of the admirable intervention of interior design, architect Michael Bonan, a young, Florentine professional, well-known on an international level and director of many extraordinary hotel projects, has given life to a sophisticated and timeless play on the classic. JK does not in fact seem to be a hotel. 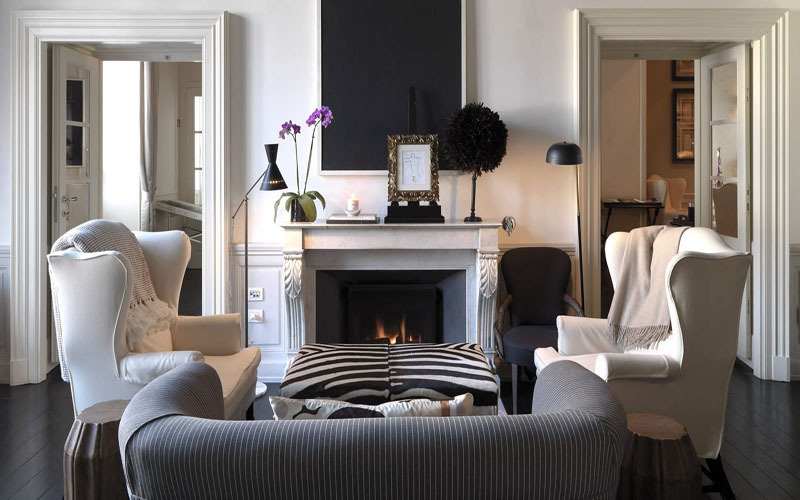 Buried in a comfortable bergère in the lounge, where differing stylistic philosophies join together harmoniously, a Charles X fireplace and objects from the 1970’s, a large neoclassical bookcase, animalier armchairs, 1950’s lamps, a rigorous play on black and white, – the pale-coloured, wooden caisson ornamented with delicate grotesque figures was saved on the upper floors – thoughts run to Albany, legendary London residence, and to one of its most famous inhabitants, David Hicks, society decorator par excellence during the 1960’s and 1970’s and irreproachable experimenter in a new, superb decorative figure. But the surprises don’t end here. Reception is in a splendid library of geometrical black woodwork, again masculine in tone, engrossing, perhaps inspired by the 16th century Long Gallery of Ham House, aristocratic British country residence. Breakfast may be eaten in what was once the internal courtyard of the original building, now covered with a glass structure that shows off the clear form and structure of the ancient works. Flooring in pietra serena, the matchless geometrical, almost solid light of Florence, architectural incisions, balance and nonchalance, a large central table, a buffet always at the ready: exquisite desserts, wine, bread and traditional Tuscan oil. “I don’t want this hotel,” confides Ori Kafri, general manager and the true heart and soul of JK Place, “to be transformed into a show case, to crystallize around a fixed concept. 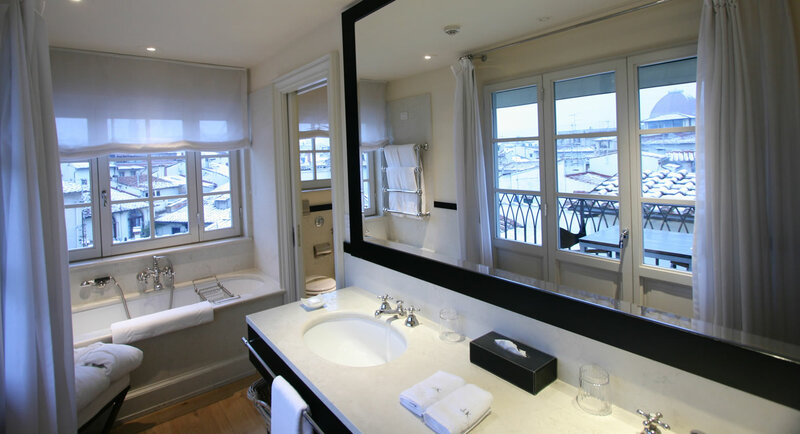 Rather I look for precious details, impeccable service, as if I were at home, personally inviting people in. I can still remember the day I arrived by chance at the Seven-One-Seven in Amsterdam. An annoying drizzle made everything sad and melancholy, but I only needed to cross the threshold for my mood to be restored. I was smiling, I felt perfectly at home, as if I had always been there. That is it, exactly the feeling I want to give. 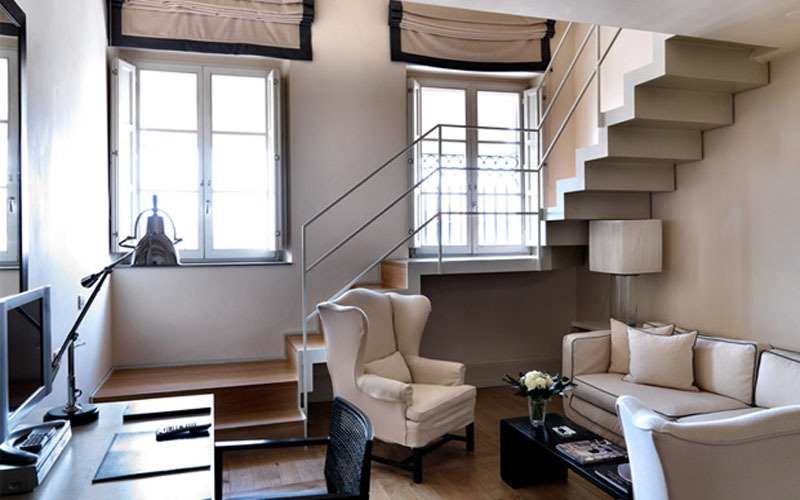 ” The ample, airy stairway in the above-mentioned neoclassical pietra serena, the classical bust, the neo-gothic handrail and the almost imperceptible Directoire style decorations used by Michele Bonan, run through another historic milieu: that of the Florence of Lorraine between the 1700’s and the 1800’s, while the original lapidary galleries lead to some of the rooms. Here the colours soften. Cream along with brilliant and light greys come on the scene, with defined, differentiated spaces, fayr play from the 1940’s, Jean-Michel Franck and Billy Baldwin, wenge wood and polished steel, China highlights, stylised design lamps, marble Louis XVI fireplaces, ultra-modern technology. Michele Bonan wanted to underline a breathy, understated, yet very real, deep, unquestionable luxury. In the penthouse, there is a play on the presence and absence of Florence, sometimes letting in marvellously foreshortened urban vistas, sometimes revealing emblematic canonical details, sometimes denying the prevailing character of the city using different references and inspirations, throwing down the ultimate challenge. 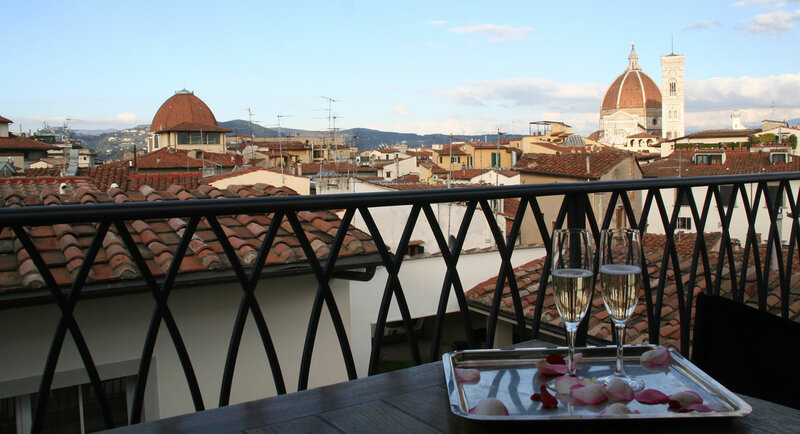 The excitement of one panoramic view after another without the question of continuity; from the bathtub a mirror gives a breathtaking, even unreal, panorama of the Brunelleschi cupola of Santa Maria del Fiore, high above the wave of terracotta roofs and terraces. Still on the top floor, there is a relaxing terrace hidden in the structural fabric, wide open and searching for the sky with its nautical teak planking and long benches modelled after Mediterranean and North African examples. JK Place is different, beyond fashion and stereotypes that are already old, immediately dated and dateable. A small, precious hotel that protests its uniqueness, as far from the opulent, useless historical recreations as it is from the de rigueur, one way “penitence” of a sterile and excessive minimalism. A new, impassioned, maxi-minimal frontier, a dedication to quality above all else, the recovery of ancestral cultural roots, unpredictable suggestions, new aesthetic channels, personalized comfort with the highest of standards.